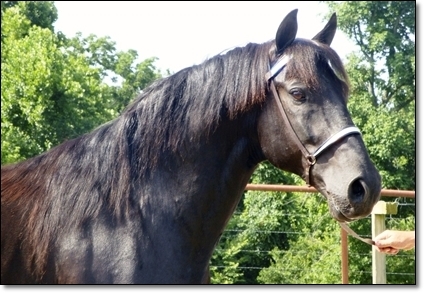 Description of Stallion: Ebony is jet black with a few white hairs in his forehead. He is the sire of World Grand Champion Ebony’s Bobbie Sue, Three Year Old Futurity Champion Ebony’s Miss Mahogany. He has thrown blacks bays and sorrels. His get have a good temperament and lots of talent.